You're in charge of fighting fires and first response, not red-tape and financing. We'll help you out by setting you up with a Pierce through PNC, Pierce's financing partner with great rates, who make it pretty easy to get the financing you need. 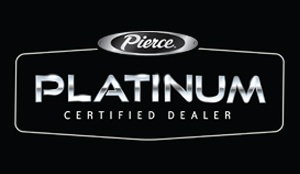 Their Flex Financing provides more long-term economic value for every Pierce apparatus that you lease. Do you have more questions about our financing? Click the button below and get in touch with us. We'll be happy to answer any questions you may have.